Check out the interview with Red Hot Chili Peppers front man and lead singer Anthony Kiedis which happened just before the RHCP’s live concert that T-Mobile organized in Berlin, Germany. 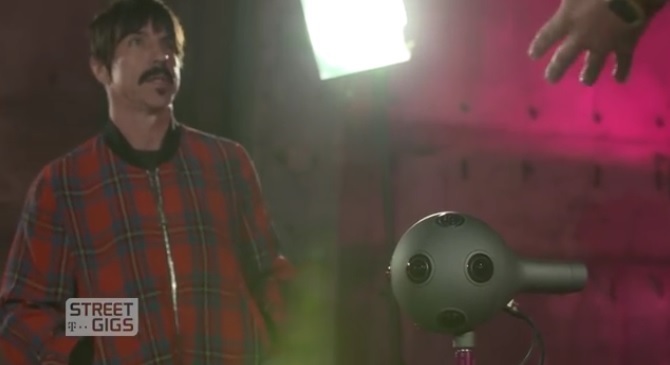 The interview was filmed with Nokia OZO and it also served as an introduction of OZO to the Pepper’s singer, which actually calls it armenian apricot for no reason :). The concert could be seen over VR goggles in over 40 countries where T-Mobile is currently operating. If you want to check the space where an interview was filmed just by using your mouse and moving with it around. Since we are still waiting for the OZO’s footage of the concert to be fully edited, you can check how it went by clicking this link. This is definitely another win for Nokia Technologies and it shows how you can turn around classical TV interview into something new.